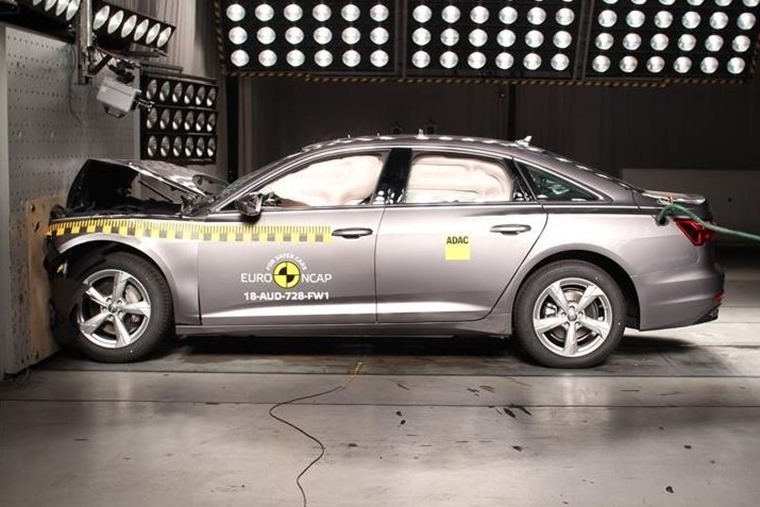 Euro NCAP has released new safety ratings on four new cars, with both the Audi A6 and Volkswagen Touareg achieving a maximum five-star rating. The updated Ford Tourneo Connect, meanwhile, achieved four stars, while the all-new Suzuki Jimny managed just three. Both the Audi and VW scored particularly well for their vulnerable road user protection systems – a new stipulation introduced by Euro NCAP this year that requires automatic emergency braking (AEB) that is able to detect cyclists. The Ford Tourneo Connect compact panel van is an updated version of the vehicle last tested in 2013 and is now equipped with AEB and lane support as standard, even for commercial variants, making it stand out amid competition in this segment. However, the newest car of the bunch, the Suzuki Jimny, disappointed the safety experts. The tests revealed it to be poor on both impact testing and crash avoidance. According to the Euro NCAP report, the Suzuki Jimny’s Autonomous Emergency Braking (AEB) system “showed weak performance in tests of its pedestrian avoidance in daylight and does not operate in low light”. The Jimny was eventually given a three-star rating. Matthew Avery, director of research for Thatcham Research, said: “The Suzuki Jimny’s performance in testing betrays its ostensibly rugged exterior. As a completely new vehicle, it should offer far more protection to drivers in the event of an accident. You can find more of the latest Euro NCAP results by clicking here.